Lost at sea with your website? 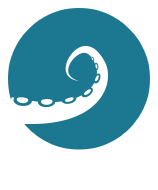 Digital Kraken is a Brighton based professional web design & illustration company born from my ten years of experience working at a high level in these sectors. Being a small, but well formed & friendly web design company means I’m always contactable, approachable and most importantly working hard to create the best online solution based on your brief, using my knowledge and expertise. Not only can I design a website that’s visually impressive, I’ll create a website that deals with the demands of your business. At Digital Kraken I don’t believe in style over substance so before any designs are made there’s an analysis of how your business ticks and how your users will likely interact with your website. I’ll look at ways of making the website easier to navigate and how to boost its efficiency. From the analysis a series of wireframe templates will be created, which are then used to create the foundations of the website’s visual designs. Digital Kraken can also offer a service where a more in depth analysis of the profiles of your potential users/customers are identified. Having worked with Rob from Digital Kraken for nearly two years we can say that his technical know how when it comes to front end design and build is right up there with the best, demonstrating knowledge and understanding of our clients and their needs. He integrates really well with our clients big, small, and everything in between. We have no problem recommending any company wanting a top rate job from a really small, but highly professional smart outfit. A rare beast, a renaissance man in our industry. At this stage of the project your website is ready for a new design, which not only needs to have great aesthetic appeal and style, but also has to create a great overall impression to your customers. By taking the time to understand your business and listen to your aspirations for the website, I hope to have a better understanding of what type of design elements will resonate with you and your customers. I’ll incorporate these with a combination of colour, typography, illustrations, composition, shapes, imagery and a splash of Digital Kraken’s design know how. Rob’s attention to detail, especially when it comes to design, is very impressive. We have had so many comments about how good the website looks and works that we’re really glad we used his company. Our experience working with him throughout the years means we are now working with Digital Kraken to create our new website. We would therefore highly recommend their services to other companies looking for a professional, but friendly service. Just like a car, a website can look pretty and sporty, but if what’s under the bonnet is not up to task then it will be lagging behind at the back of the pack, or worse still in the garage being fixed. This is why I build responsive websites to the current web standards, do testing, and do some special tricks to get the site running quickly, using a variety of tools and caching techniques. Not only will your users appreciate the speed, Google will look at your site more favourably when compared to slower websites in your sector. I am currently redesigning and building their new website to bring it up to date and give the users a better narrative of the company’s services they provide.